In an attempt to train soldiers for combat operations in topographical conditions similar to those in Lebanon, the Zionist army conducted a massive drill over the last week. The wargame was the largest one carried out by the occupation’s 401st Brigade of the Armored Corps in recent years, according to ‘Israeli’ Channel 12 news. The soldiers carried out drills in coordination with the ‘Israeli’ Air Force, as well as the engineering and intelligence corps. 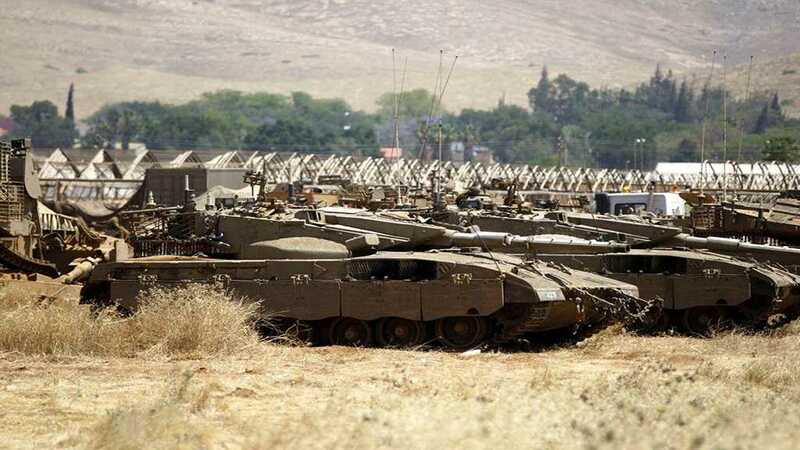 Dozens of tanks, armored personnel carriers and helicopters were deployed in the training zone in the occupied Jordan Valley, according to the Zionist military. The brigade’s commander, Col. Dudu Sonago, said Hezbollah fighters have gained extensive experience and have developed more sophisticated battle techniques after fighting in Syria’s war. “As the situation in Syria stabilizes, Hezbollah is returning its forces to Lebanon,” Sonago said. “They are no longer a guerrilla organization, but a real army. They fought there in regiments of companies and battalions, very similar to the military,” he told Channel 12. The exercise comes while the ‘Israeli’ regime heightened tensions along the border with Lebanon after launching an alleged operation to locate and destroy cross-border tunnels claimed to be used by Hezbollah to reach the occupied territories. Hezbollah Secretary General His Eminence Sayyed Hassan Nasrallah later dismissed the effectiveness of the Zionist operation that wrapped up in January, adding that Hezbollah’s plan to liberate northern of the occupied territories remained intact. («الأخبار»، 10 أيلول 2018 ). Filed under: Axis of Resistance, Hezbollah, IOF, Israeli Wars on Arabs, Palestine, Zionist entity | Tagged: Iran-Hezbollah Versus Israel, October War, The precision rockets |	Comments Off on إسرائيل لا تثق بجيشها البرّي: «حرب 73 ستكون نزهة»! Israel, through its Prime Minister Benyamin Netanyahu, is waving the flag of war in the face of Iran and Hezbollah, showing what is claimed to be a “secret nuclear facility in Iran and Hezbollah strategic missile warehouse in the heart of the capital Beirut”. The “secret nuclear facility” has been debunked by Iranians living in the area- the pictures were taken in front of what turned out to be a carpet factory. In Beirut, the AMAL movement led by Parliament Speaker Nabih Berri constructed a gate long ago, closing the visible path towards a boat repair hangar at Ouzai. The real question is: What Israel is trying to do or say? No one in Lebanon can be certain whether a war is being prepared against Hezbollah, Iran’s partner which shares its ideology and objectives to “support the oppressed around the world”. 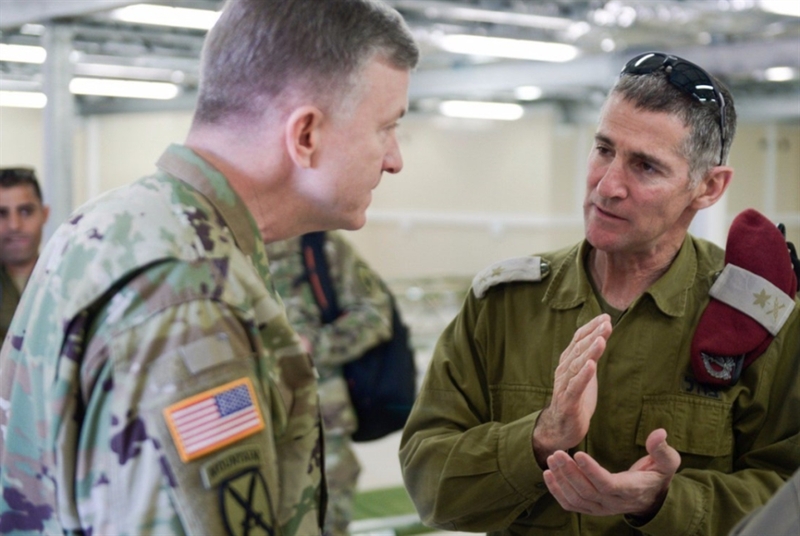 Israel and the US may, in fact, be preparing war against Iran and Hezbollah, in which case the possibility of war against Lebanon is not far-fetched. I say against Lebanon because Hezbollah, along with the Shia society that protects and is part of the organization, represents around 25 to 30 percent of the Lebanese population – not counting other religions and secular political parties who share Hezbollah’s goal to serve as a balancing power protecting Lebanon from Israel. Commanders in Lebanon consider that Netanyahu made his show at the UN presenting specific objectives as sensitive targets because he doesn’t want to hit these “targets”. Had he been certain of the contents, why didn’t he bomb these Hezbollah warehouses as he claims he has been doing throughout the seven years of war in Syria? According to sources in Beirut, strategic missiles can’t be located in residential areas like the capital Beirut or any other city or village. Missiles are ready to be launched in hundreds of places with a small reserve backup in each to avoid the total destruction that befell many warehouses during the second war on Lebanon in 2006. Moreover, launching ballistic long or media range missiles needs to take place very far away from population centers to avoid collateral damage in the case of a failed launch, always a possibility. The reason why the Beirut airport has been targeted by Netanyahu’s satellite photos may be related to the intention to build a new airport – Qalay’aat – far from the suburbs of Beirut and close to an area which the US’s friends in Lebanon can use for many other purposes. What is clear from Netanyahu’s presentation is that Hezbollah has achieved a “balance of fear” with its enemy. Israel can no longer damage Hezbollah and Lebanon’s infrastructure and get away with it with little damage to themselves because the organization will respond with strength through its advanced military capabilities. IRGC ballistic missiles and armed drones’ attacks against targets in Kurdistan Iraq and albu Kamal in Syria gives an idea of Hezbollah’s capabilities. However, there is one important difference: Hezbollah doesn’t need missiles with a range between 500 and 800 km, but much less than that. Iran has adapted Hezbollah missiles with a shorter range of 300 km and a more destructive warhead. Moreover, Hezbollah has used relatively primitive armed drones in Syria, hiding the surprises – according to sources – for a possible war against Lebanon, or to target more distant enemies when needed. In Syria, the rules of engagement will change again when Russia supplies the promised S-300. If Damascus decides to shoot down an Israeli jet, has Tel Aviv thought about the fate of the pilot if he is downed over Lebanon? Has the memory of Ron Arad disappeared? Hezbollah – according to the source – is not motivated to abduct Israeli soldiers as in 2006, because Israel does not currently hold Hezbollah hostages. However, a gift from the sky – said the source – will never be rejected. Thousands of Palestinians can be freed if an Israeli pilot falls into the hands of Hezbollah in Lebanon. Such developments would only embarrass Netanyahu, who has subjected himself to ridicule by playing the investigative journalist around a football camp in Lebanon and a carpet factory in Iran. His public performances are not those of a serious prime minister. The “Axis of the Resistance” was first hit in 2006 with the Israeli attack on Hezbollah, again in 2011 with the war on Syria, and in 2018 it is Iran’s turn. The first two plans failed dramatically, reinforcing the strength of Hezbollah, whose organization has now become one of the strongest armies in the Middle East. In Iraq, it gave birth to al-Hashd al-Shaabi, an Iraqi security force with strong ideological convictions who are prepared to kick the US out of Mesopotamia. In Syria, President Assad has emerged stronger and his ministers are meeting Arab ministers in the corridors of the UN- indicating a serious shift in the Arab position towards the Levant. With every war or tough western policy to defeat this “axis” using Saudi Arabian money and western intelligence services in the Levant and Iraq, this “axis” becomes stronger and increases the number of its supporters. Can the western warmongers finally learn that such a policy is, in fact, drastically weakening the West in the Middle East? I doubt it. Filed under: AngloZionist Empire, Hezbollah, Iran, IRAQI POPULAR MOBILIZATION, Israeli Aggression, July war, Netanyahu, War on Iran, War on Syria | Tagged: Iran-Hezbollah Versus Israel |	Comments Off on Iran and Hezbollah Are Ready to Face Any Challenge: But Are Israel and The US Ready?